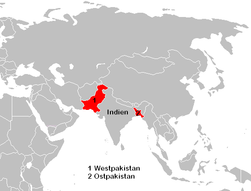 The People's Republic of Bangladesh, is a country in South Asia and converges with South-east Asia. It is surrounded by ► India on all sides except for a small border with ► Myanmar to the far southeast and the Bay of Bengal to the south. Together with the Indian state of West Bengal, it makes up the ethno-linguistic region of Bengal. The name Bangladesh means "Country of Bengal". More images Bangladesh - Bangladesh (Category). 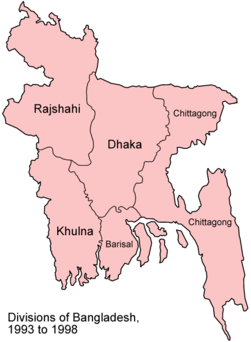 This section holds a short summary of the history of the area of present-day Bangladesh, illustrated with maps, including historical maps of former countries and empires that included present-day Bangladesh. ↑ Romanization: Bangladesh - Gônoprojatontri Bangladesh.